Playing with LEGOs is my boys absolute favorite activity. Recently we were at a friend’s house who had his bricks sorted by color and my boys came home and immediately began sorting their LEGO bricks into plastic baggies. That’s when I got to thinking how nice it would be for them to have a storage system that allowed for sorting by color. 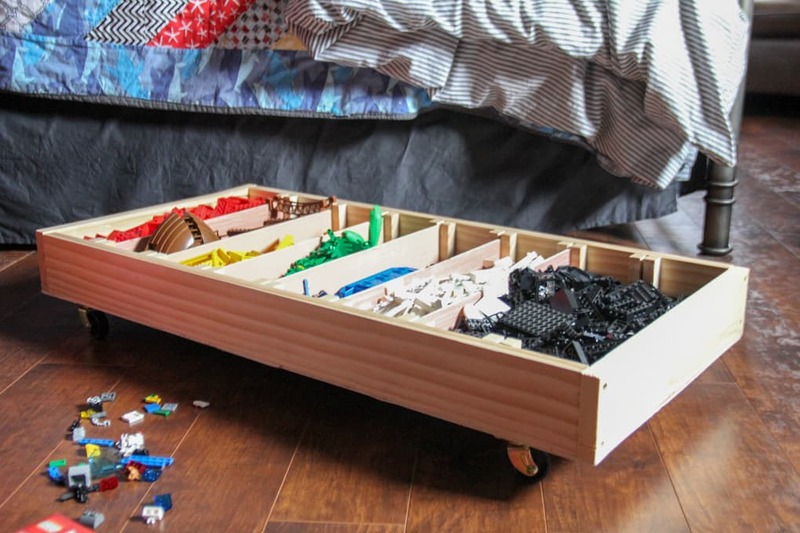 That’s when I decided to build them this under the bed rolling LEGO sorter. 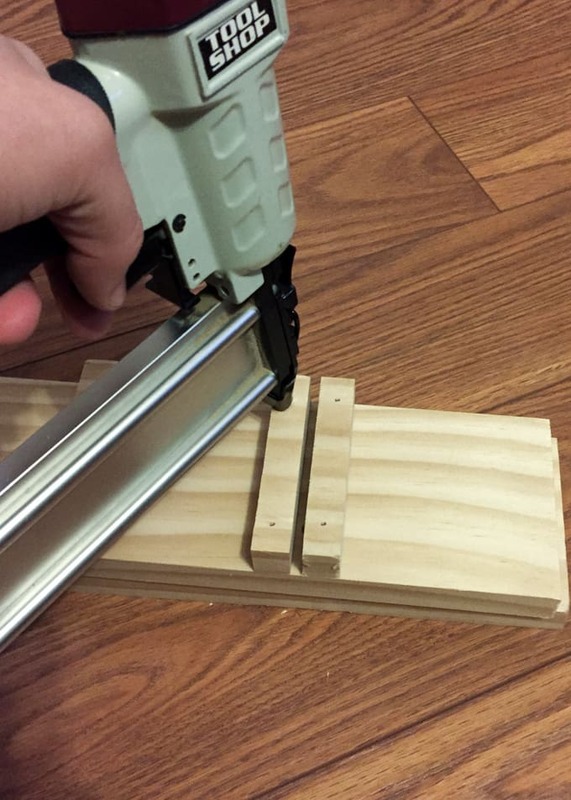 First I cut small blocks of wood and used the trim nailer to attach them to the side boards. 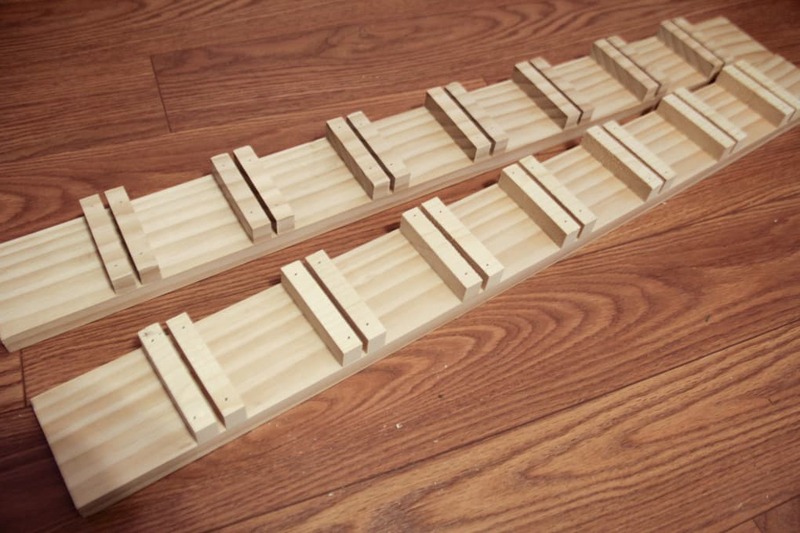 Altogether I created 8 compartments, which meant that I needed 28 of these pieces. Once these were all attached I screwed on the end pieces and then ripped a piece of thin plywood for the bottom of the sorter. 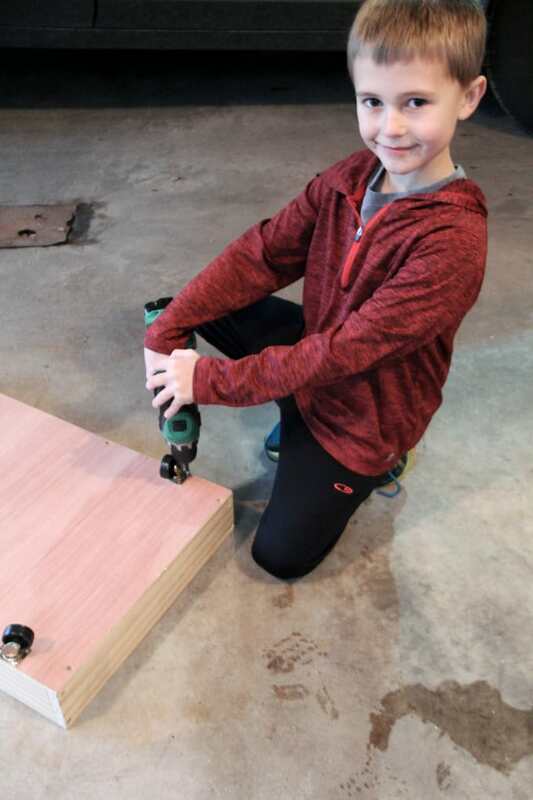 My six year old Mason was all about helping with this project. Once the bottom was attached we added wheels to the bottom of the sorter. 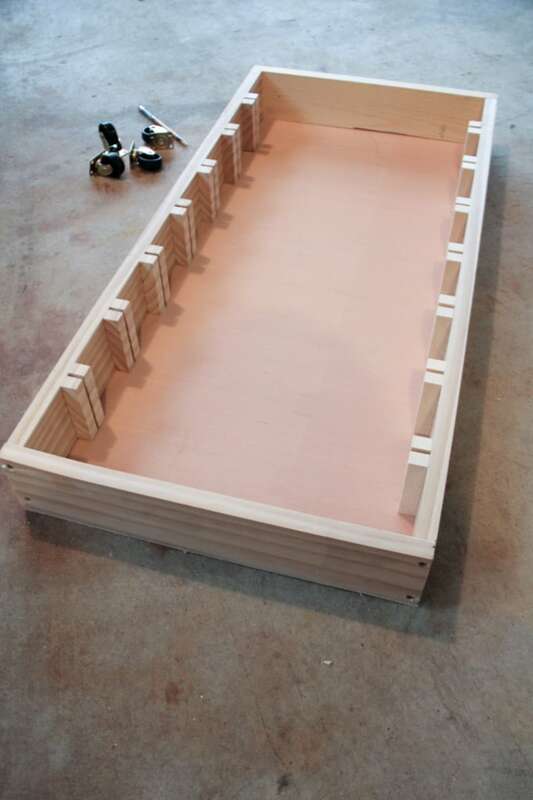 Then we used strips of thin plywood as the dividers. In total this project took about 1 hour and around $40 in materials. 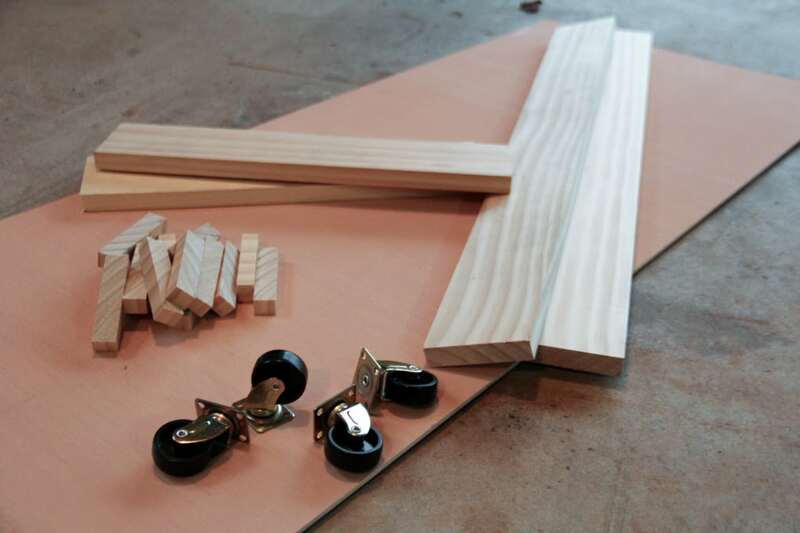 The board cost $12, the wheels cost $10, and a big sheet of plywood cost around $20. 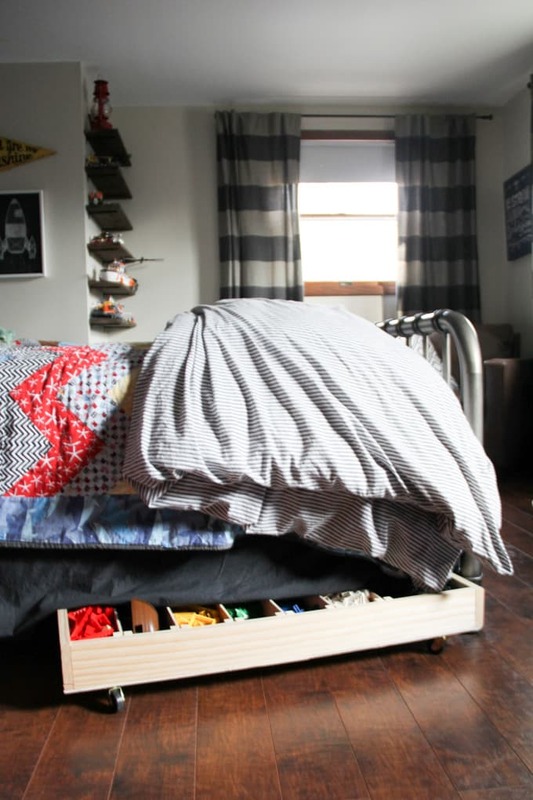 The best part is that it rolls nicely under their bed and hides away perfectly. 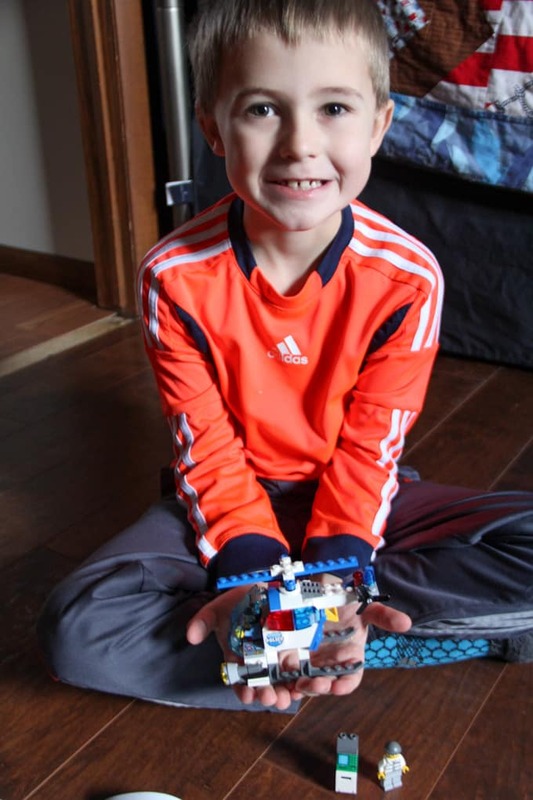 LEGOs have also proven to be an amazing incentive for him. Whether it’s completing homeschool work without complaining or remembering things like washing hands and turning off lights. 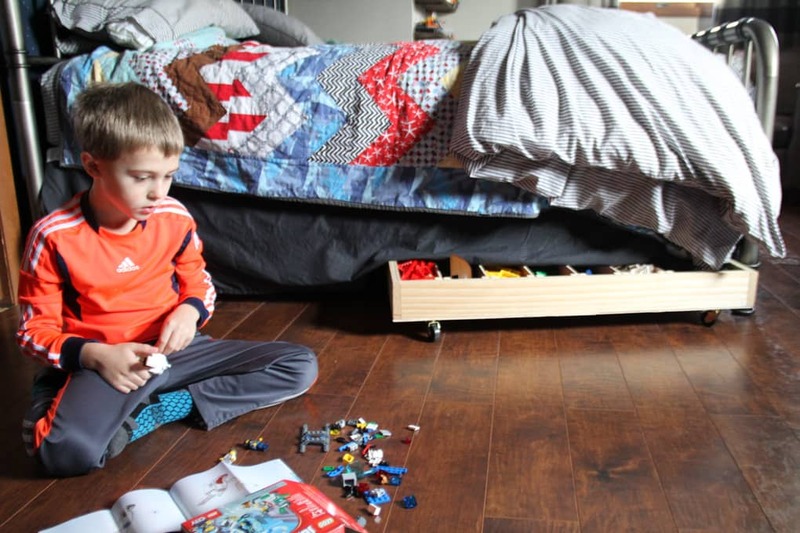 It’s amazing what this kid can do with a simple incentive! 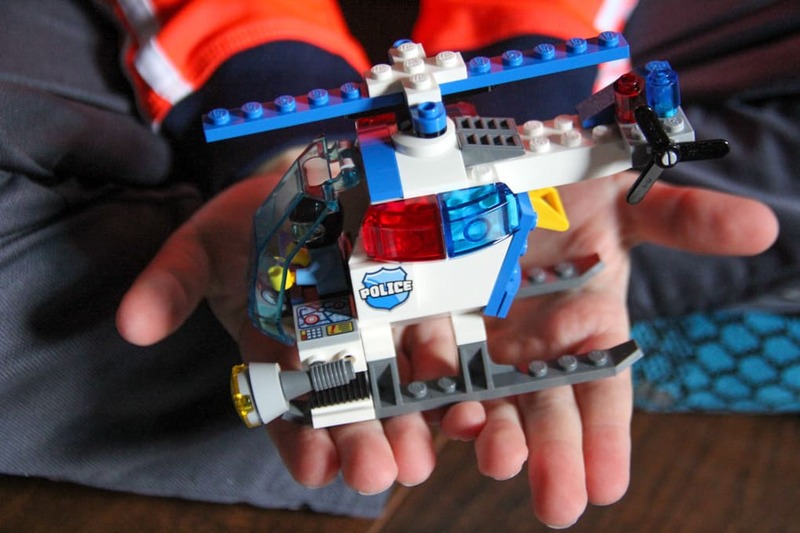 Here’s my proud boy after building his LEGO police helicopter completely on his own. With our constantly growing Lego collection, I’m actually going to be making second sorter to hold their mini figures, grey LEGO bricks, bases, and wheels. 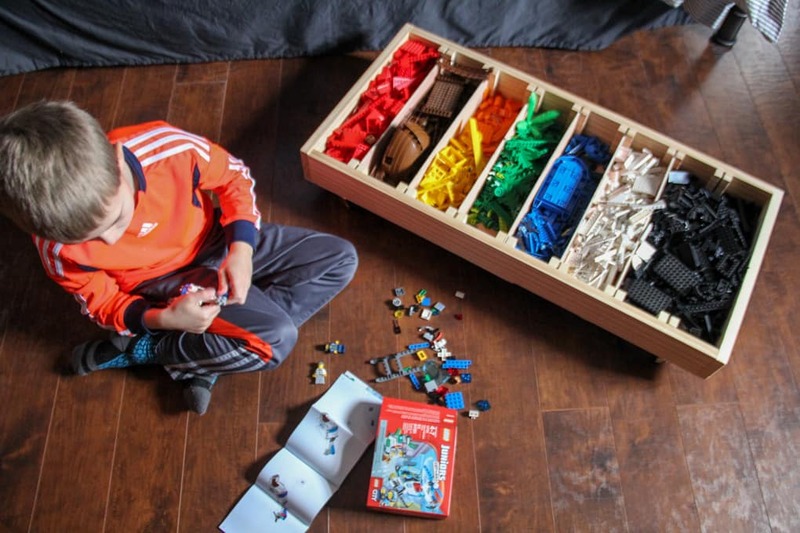 A sorter like this would be a great way to give a handmade gift, along with a set of LEGO bricks! 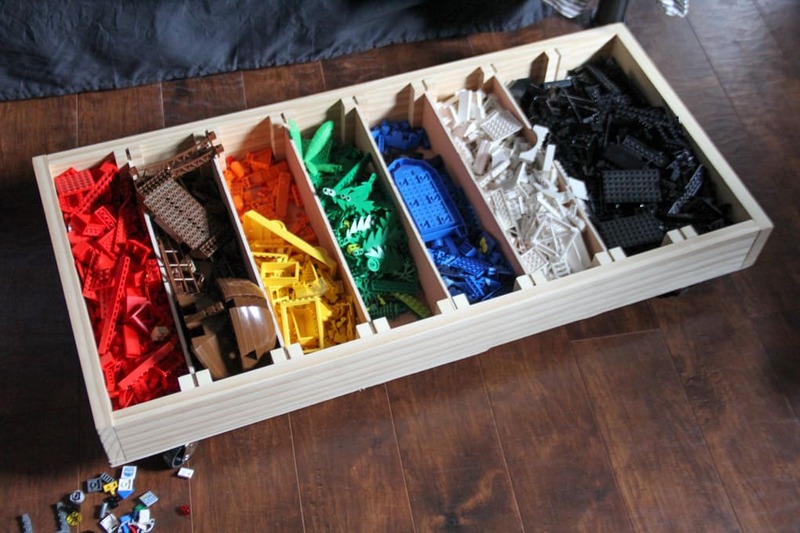 Wow, this is such a great way to store lego. Thanks! My boys are loving how much easier they can find their pieces now. Thanks mom! It was fun to build knowing how much they’d love it.